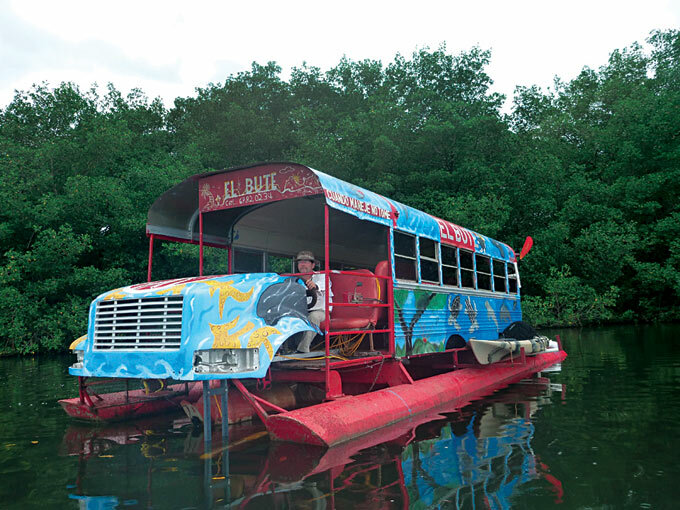 If you travel along the Sixaola River this year, you might come across a rather unusual vehicle: a brightly pained floating school bus. While at first glance it seems to be something out of a fantastic children’s story or the pursuit of someone not quite connected to reality as we know it, this bus is indeed conducting serious scientific research. Equipped with dual-frequency side-scan sonar and hydrophone arrays, the bus is the newest research vessel of the Smithsonian Tropical Research Institute, out on the river between Costa Rica and Panama to find manatees. The man behind this research is STRI’s marine biologist Héctor Guzmán, who already has experience tracking humpback whales, sharks and sea turtles. The waters of the Sixaola River are so murky though, that his research proves to be challenging: The manatees he is researching are simply not visible, so the researchers rely on acoustic cues and tagged animals to track the movements of the big mammals. Knowing how many manatees live in the Sixaola, how they move and which places they prefer to feed, sleep or reproduce will be a great help in developing a sustainable protection plan for them. The River used to be the home of much larger manatee populations than the estimated 20-30 animals who live there now, but pollution, as well as hunting led to a drastic decrease in numbers. 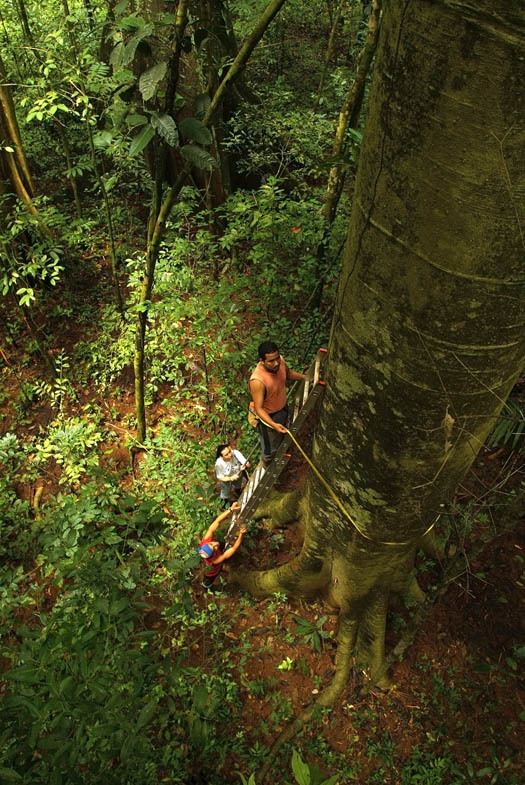 This project is part of a larger research assessing the biodiversity in the entire area in order to provide a functional conservation program for the Sixaola and its surroundings. It is being conducted by the STRI and the Universidad de Costa Rica Mario Rivera, and supported by the Interamerican Development Bank and the United Nations Global Environment Facility. Tranquilo Bay is ready to announce the addition of guided birding trips on the Western Caribbean Slope to their excursions. 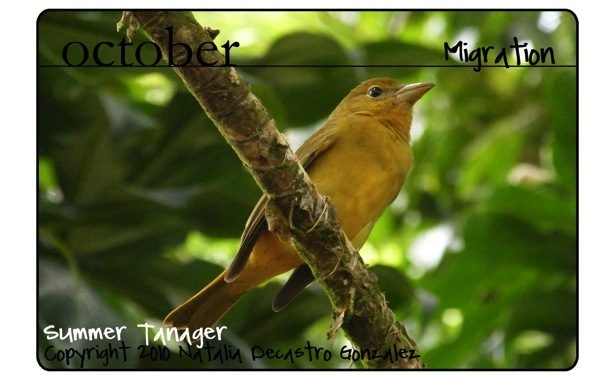 Tranquilo Bay has been birding the Western Caribbean Slope for many years and in 2008 hired two full time biologist, that combined have 16 years of experience working in the Province of Bocas del Toro. In western Panama the Caribbean Slope of the Talamanca mountain range, Tranquilo Bay’s back yard, plunges some 11,000 feet from the high alpine forest of La Amistad National Park into the lowland rainforests bordering the Caribbean Sea, in a span of less than 40 miles. Within the areas we explore from our comfortable facility the altitude ranges from 7,000 feet to sea level in a zone where nearly 500 species of birds can be found. This extreme biodiversity and high level of endemic species is due to abrupt changes in altitudinal zones and extreme geographic features creating many distinct ecosystems, as well as, migratory corridors. 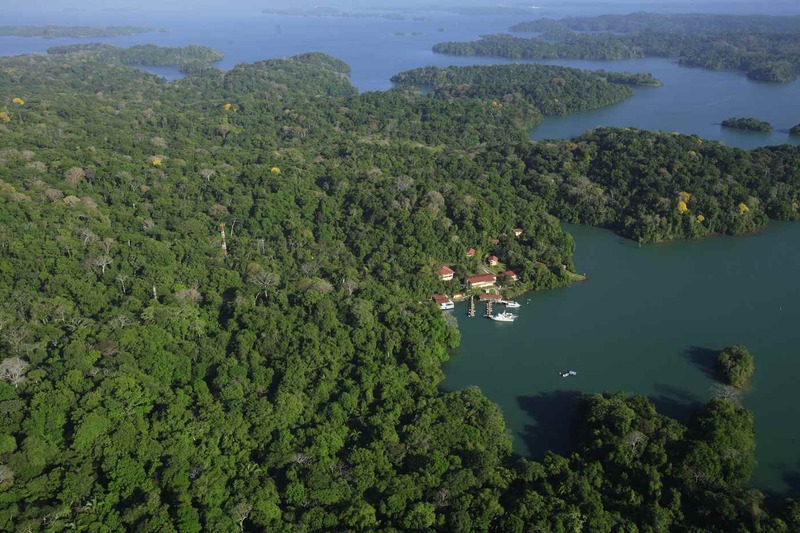 Tranquilo Bay is located on 100 pristine acres, adjacent to Bastimentos National Marine Park, amongst the convergence of 3 distinct ecosystems. This creates an extremely diverse and unique wildlife observation site where flora and fauna overlap from separate worlds increasing diversity. In a week it is possible to identify over 100 species of birds without leaving the property. There are several elevated porches throughout the facility, creating an incredible eye-level view. While birding onsite you might also encounter white-faced capuchin monkeys, night monkeys, two and three toed sloths, iguanas, caiman, butterflies, a variety of frogs and lizards, and within the canopy a collage of rain forest hardwood and fruit trees, lianas, mangroves, ferns, orchids and cycads. Gold Collared Manakin, Three Wattled Bell Bird, Violet Crowned Wood Nymph, Red Lored Amazon Parrots (by the hundreds), Green Ibis, White-Crowned Pigeon, Blue Dacnis, White Hawk, Red-legged Honeycreeper, Green Honeycreeper, Lineated Woodpecker among others.